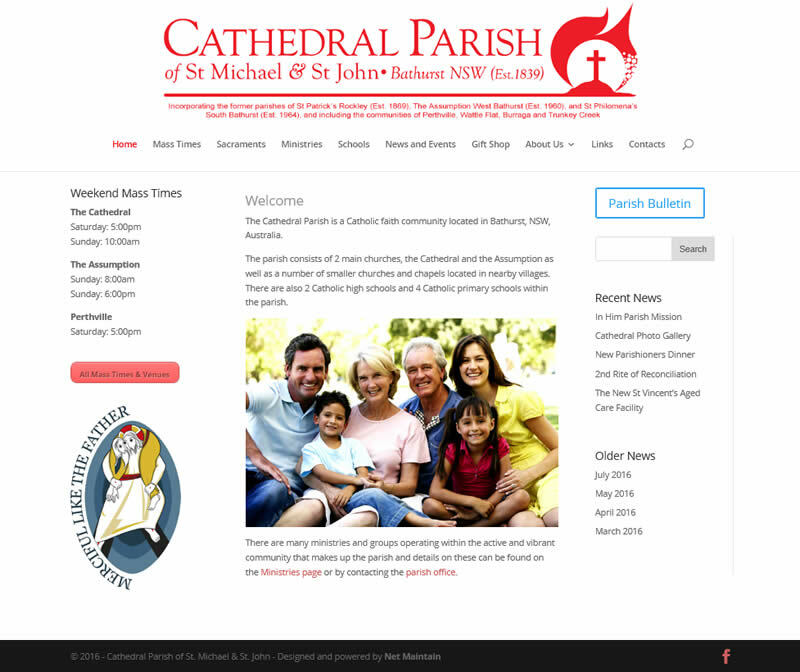 The Cathedral Parish website, part of the Net Maintain portfolio. The Cathedral Parish is a Catholic faith community located in Bathurst, NSW, Australia. This site was built to provide a way of disseminating information to the local parishioners and visitors. Local mass times and locations as well as news and events are posted to the website. Regular updates ensure that important information is available on the website. Visit the Cathedral Parish website by clicking here. Re-design old website including new logo and enhanced user updating features.